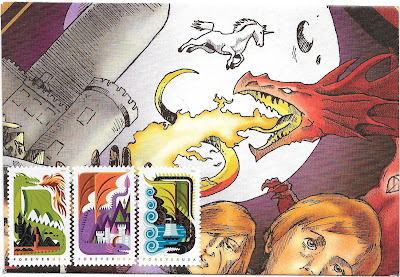 There's one person I know who loves dragon-related mail as she is a dragon in the lunar zodiac, so who better to send envelope 847 to than Heleen? 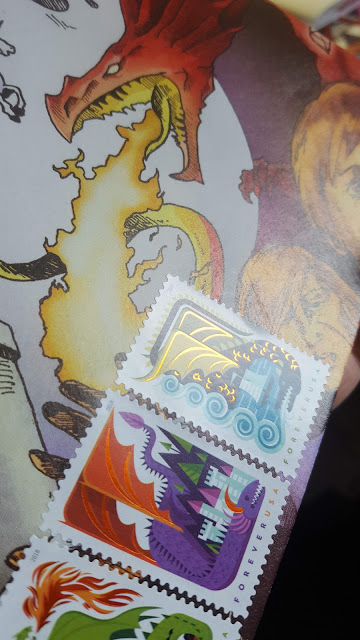 You can't appreciate it in online or flat scans, but the stamps have flecks of orange foil as highlights. I tried to take some photos, but they really don't do it justice. For more postage with a D theme, delve into the links at Sunday Stamps. The orange foil is visible on the last picture. It's a nice touch to the illustrations. I tried to show the orange foil on the black dragon in one picture, and the other two in the other. I think they did a lovely job with the foil overall. Très médiéval au final ! I usually associate dragons with medieval knights and castles. In the series 'The Magicians' each major river in the world has a dragon living in it. Oh cool! It's so nice that you took the effort to show us those flecks of orange foil! glad you liked my (honestly minimal) extra effort this week. And sometimes foil seems like a gimmick, but i love how they did it on these stamps. 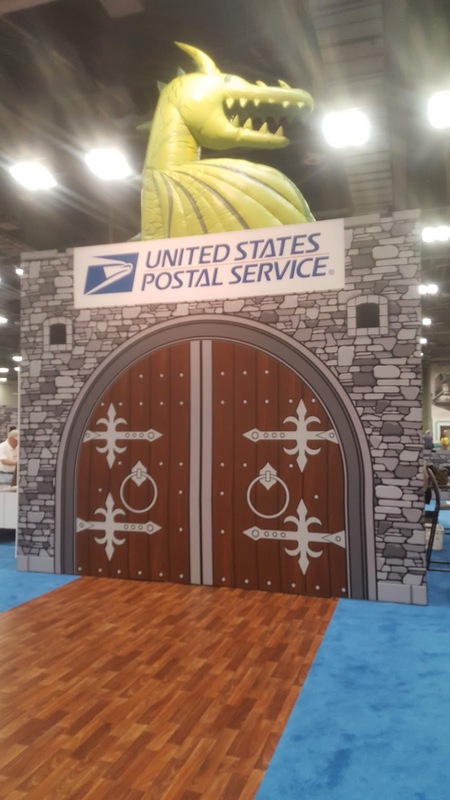 Love the dragon door and the fact that stamps have a launch ceremony, what fun that must be to create. 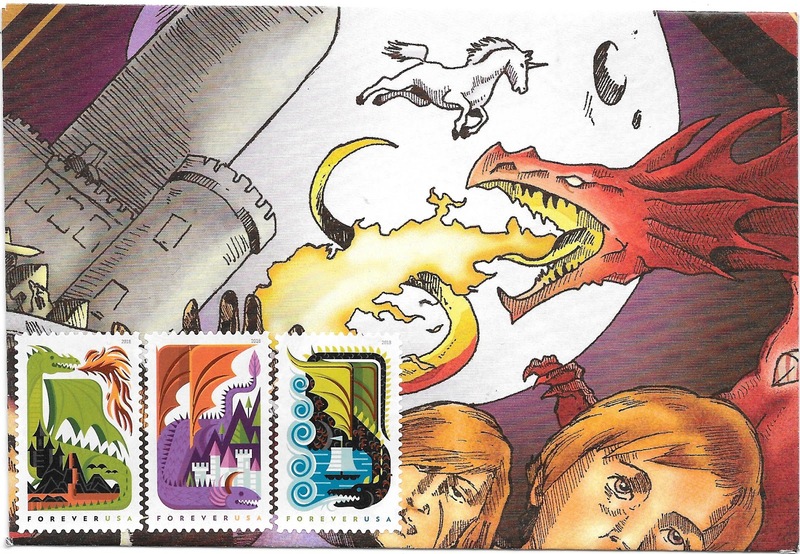 Nice imaginative stamps too. All of the commemorative stamps have a dedication ceremony, and most of the mail use stamps do, too, usually with special first day postmarks. I've a number of first day of issue envelopes from much earlier ceremonies - not that I attended any. Great stamps. I saw a lot of people moaning about how unnecessary this issue is, however I really like it, it is a lot of fun, and who doesn't like dragons? 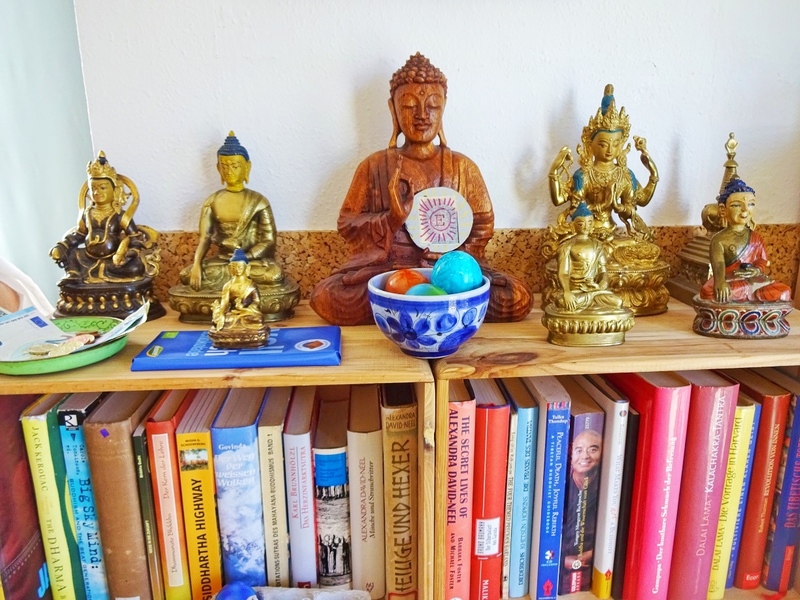 Eva said it well: you surely made my day, by both making this blog post and by making me see them in real! Thank you so much! Glad you liked the mail in your hand and on the blog. Dragons are a great theme! 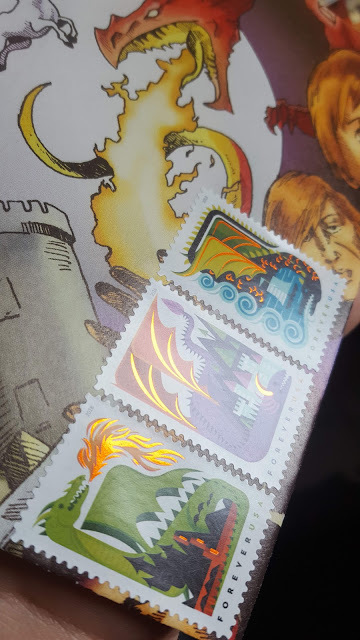 I would like to see dragons on stamps more often, however I'm sure it will be quite some time before they are on US postage again. Maybe in the next Year of the Dragon?